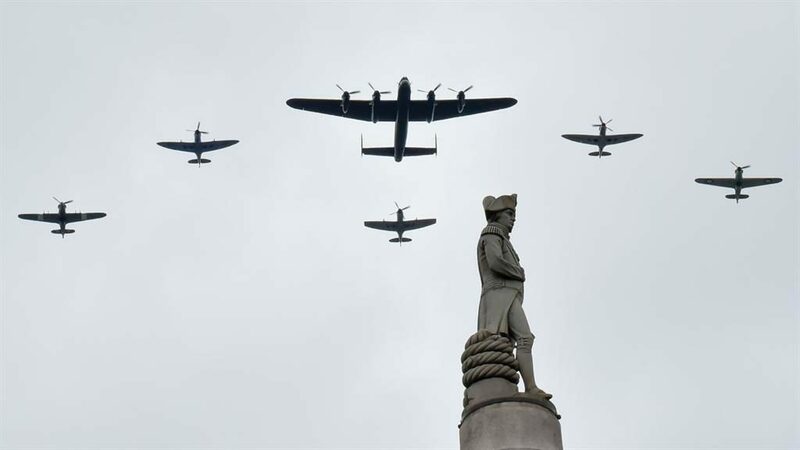 A FLYPAST of 100 RAF aircraft thundered over the London sky yesterday in a thrilling centrepiece to the force’s centenary celebrations. 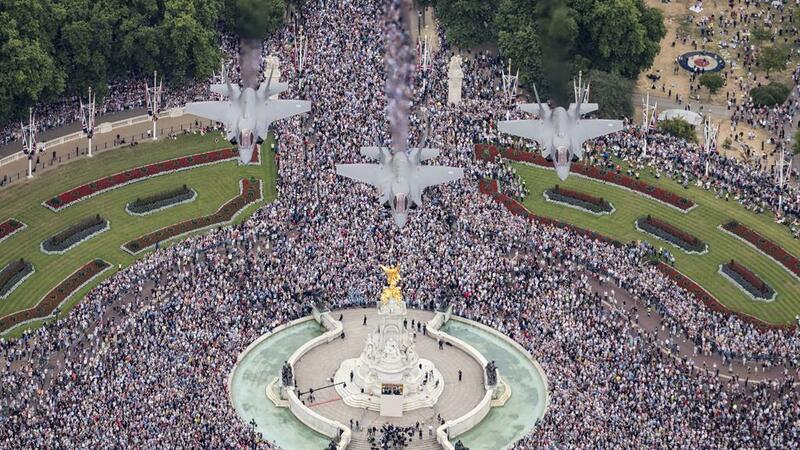 Thousands of spectators gathered as the Queen and members of the royal family watched the biggest display of military aircraft in recent memory from the Buckingham Palace balcony. 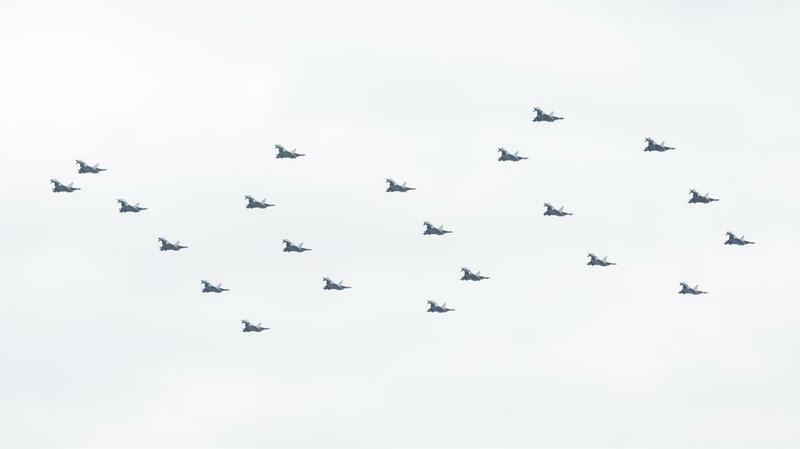 In their biggest ever formation, 22 Typhoon jets spelt out the number ‘100’ before the spectacle drew to a close with the Red Arrows, who streamed red, white and blue smoke down The Mall. Her Majesty, the RAF’s Air Commodore-in-Chief, presented the Queen’s Colour to the RAF in the forecourt of the palace. She recalled how her father, King George VI, was the first member of her family to qualify as an RAF pilot. 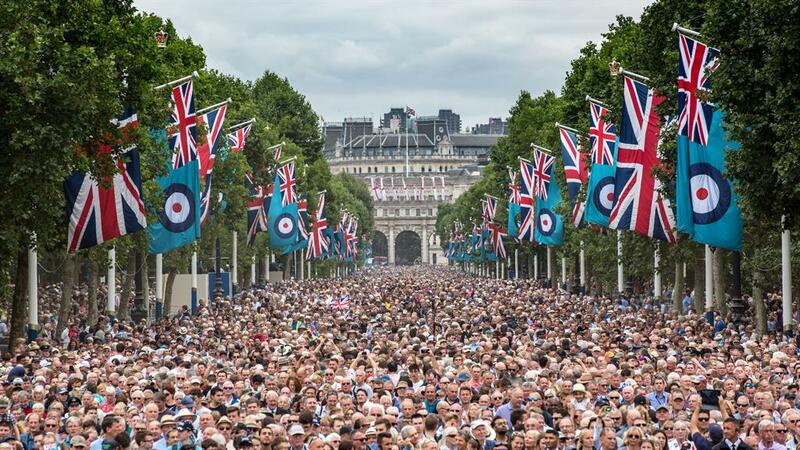 ‘Presenting the Royal Air Force with a new Queen’s Colour provides an opportunity to congratulate the service for your remarkable contribution to defence over the last 100 years,’ she said. 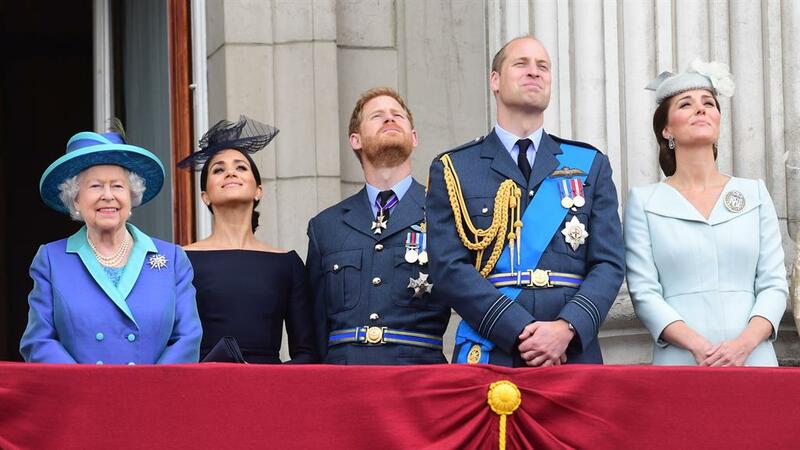 She also took the Royal Salute as the Prince of Wales and the Duchess of Cornwall, the Duke and Duchess of Cambridge and the Duke and Duchess of Sussex watched. Charles, William and Harry wore RAF uniforms while Kate sported a Dacre Brooch presented to her by the Air Cadets when she took on patronage in 2015. Meghan wore a Dior dress and hat by royal milliner Stephen Jones. 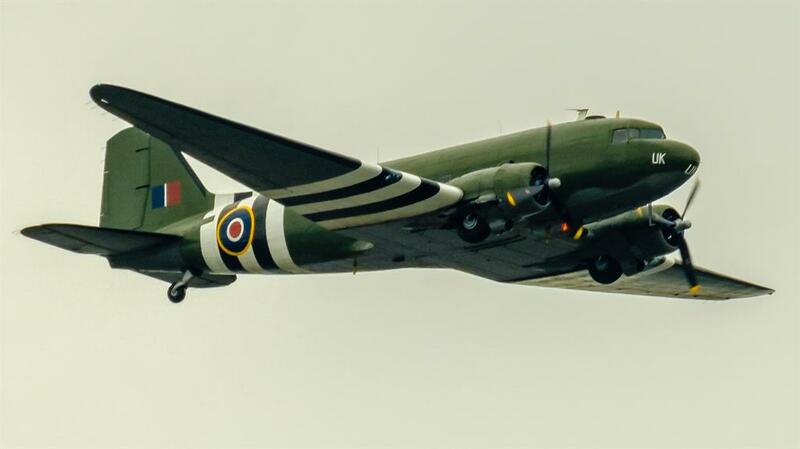 Princess Charlotte threatened to steal the show when she was spotted apparently saluting the flypast. 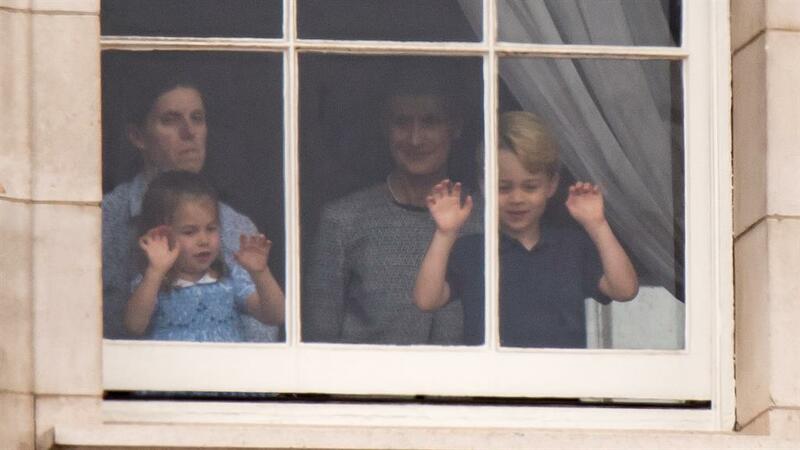 The three-year-old, who watched from a window of the palace with her older brother George, was also photographed sticking out her tongue.